Today’s set readings include Zechariah’s song at John the Baptist’s birth and the beginning of his ministry. Next week’s reading is John’s “what shall we do?” conversation with his listeners. It would be possible to read all three today and to make John’s call to repentance the theme of the day. If you do that, check the suggestions for Luke 3:1-17 in the Third Week of Advent. Use the reading scripts from both weeks to present John’s long complicated story. For ideas how this combination would affect texts for the rest of the season go to Planning for Advent and Christmas in 2012 - Year C.
God, we know that we are not all you created us to be. You call us to repent, to make changes. So, we light this candle to promise you to make those changes. Be with us, show us what to do, and give us the courage and energy we need to change.
'' Malachi’s message is that God is not always sweet and gentle. Sometimes God gets in our faces, insists that we change our ways, and calls us to take brave action. 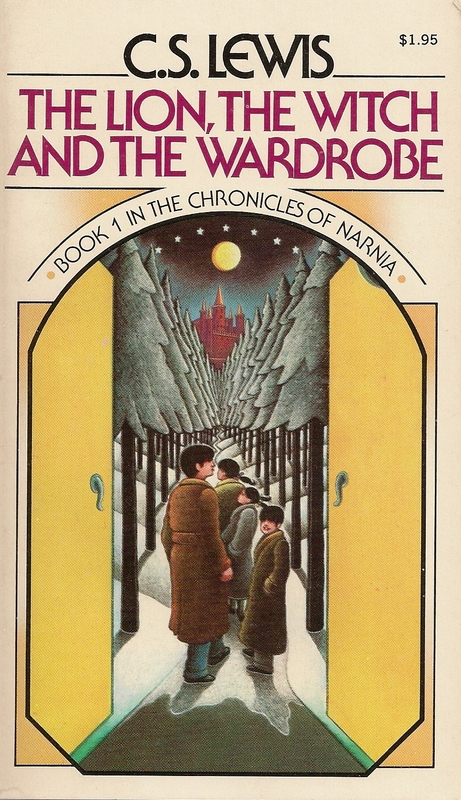 Similarly, in The Lion, the Witch and the Wardrobe, by C.S. Lewis, when the children are told they will meet Aslan they are wisely concerned. Malachi advises us to await God with the same caution.
'' Children have taken medicines that sting or taste bad to heal a disease. Some have done exercises that hurt to rehab after a broken bone or sports injury. And, all children are frequently reminded of the sometimes less than pleasant disciplines needed to succeed in sports or music. These experiences, more than the refiners fire or the fuller’s soap, enable them to hear Malachi’s message that sometimes we must make hard changes and work hard to be the people God made us to be. To explain the refiner’s fire, show pictures of molten metal and briefly describe the process by which the rocky ore dug from the ground is turned into useful metal.
'' During December many children are totally focused on being nice rather than naughty in order to get good gifts from Santa Claus. They need to hear that Malachi and John the Baptist do not want them to be good in order to get gifts from God or so that God will like them. The prophets want them to be good because God created them to be good. They are to be their very best to show God appreciation for how God has made them. There is no cute way to say this. Straight talk is needed. The medicine and discipline images above help communicate why we repent.
'' This is a good day to do some worship education about the prayers of confession. Select a prayer that uses simple concrete words. Before praying it, read it and summarize what it means to say those words to God. Point to the assurance of forgiveness that follows. If you follow this by passing the peace, explain that saying “Peace” to those around us is just the beginning. We have to take that peace everywhere we go all week and share it with everyone we see. That is not easy. Admit that everyone in the congregation needs to pray this prayer every Sunday. During December the girls are often feeling like princesses wearing fancy Christmas dresses. It is almost impossible to get them from thinking about those Christmas clothes to thinking about the prophet’s message. Most boys are not interested enough in clothes to explore the prophet’s image. So, I’d read this one for the adults.
'' The RCL suggests reading only the song of Zechariah today. Actually, the RCL omits the story that led up to that song entirely. Children especially, but lots of other worshipers too, need to hear that story to make sense of the song. Unfortunately, in the Bible it is so long that it loses children and I have yet to find a Bible story book that includes a shorter good version. That leaves us with several reading options to bring the text to life in worship. Below is a script for an older couple, an angel and a narrator. Further down in this post there is a script for Luke 3:1-18 that calls the whole congregation to read together about John’s call to repentance. Reading both scripts today allows the congregation to enjoy the entire story of John. Narrator(speaking from the lectern while the couple is coming forward from the congregation): When Herod was king of Judea, there was a priest by the name of Zechariah from the priestly group of Abijah. His wife Elizabeth was from the family of Aaron. Both of them were good people and pleased the Lord God by obeying all that he had commanded. But they did not have children. Elizabeth could not have any, and both Zechariah and Elizabeth were already old.
'' To shorten the story, a male storyteller could assume the role of Zechariah to tell the story in his own words moving around the front of the sanctuary as he speaks. If you use incense in worship, he could cense the altar while talking about his time in the Temple. 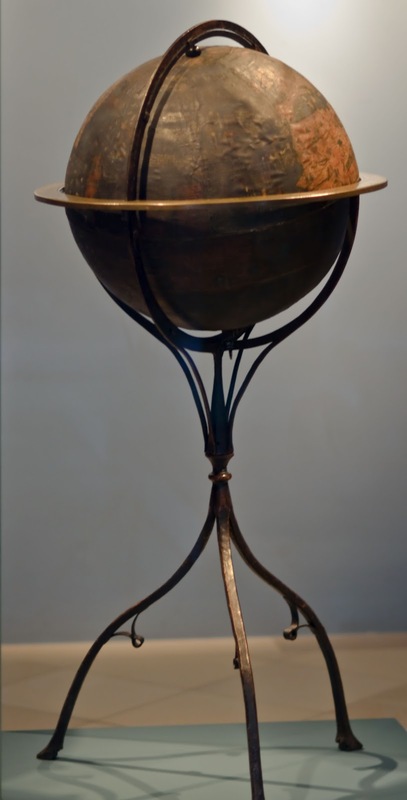 He would then set the censer aside and move to another part of the chancel or perhaps the front of the nave to tell what happened when he went home. When it comes time for the song, he recites it front and center.
'' Or to keep the focus on the song, briefly tell the story, then turn to an older man to read or recite the song. If he can recite it, he might stand at the center holding a baby doll wrapped in a blanket.
'' This psalm compares prayers when things are good with prayers when things are not so good. To emphasize that difference have it read by two readers. The first reader dressed in bright colors stands to read verses 1-3 with exuberance and the second dressed in somber colors sits on the floor beside the first reader to read verses 4-6 thoughtfully. Or, point out the differences then have the halves of the congregation read the psalm together.
'' Children can only begin to understand the psalm’s message that we can have joy even when we are not happy. During December their idea of happy is to get what you want for Christmas and do fun things to celebrate the season. The psalmist says that kind of happy is wonderful. But, even when things around us make us feel less than happy, we can have joy. For the children define joy as knowing in your head that God created the world and that it is basically good and beautiful. It is knowing that no matter what is going on at the moment, God loves each of us and is with us. If these things are true we can be OK when we are happy and when we are unhappy.
'' “I’ve Got a Joy, Joy, Joy, Joy Down in My Heart” is a good parallel song. Verses 9-11 are a blessing for repenters. The CEV is easiest for children to understand. 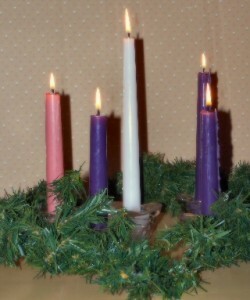 The verses can be used at the end of the service either to light the Advent wreath sending worshipers out to repent (see statement at the top of this post) or to emphasize the benediction. For either reason, remind worshipers that Paul wrote this blessing while he was in prison in Rome to his church friends back in Philippi. Imagine together how those friends felt when they read it and what they were encouraged by Paul to do. Then, light the candle for repentance or use the verses as the benediction addressed to today’s congregation. I pray that your love will keep on growing and that you will fully know and understand how to make the right choices. Then you will still be pure and innocent when Christ returns. And until that day, Jesus Christ will keep you busy doing good deeds that bring glory and praise to God.
'' There is much to be said for combining this reading with Luke 3:7-18 which is scheduled for next week. 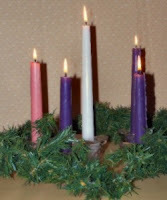 So, I am posting all the ideas for the combined text both today and on the Third week of Advent.
'' Combine the 2 readings about John’s ministry. As you begin, point out that when John grew up huge crowds followed him. Invite the congregation to join you in reading about John and those crowds. Assign different sections of the congregation to be the crowds, tax-collectors, and soldiers. The Narrator, who is probably the key liturgist, and John read from the front. Everyone will need a script. Prepare John to read dramatically as if addressing a large crowd out doors.
'' Revel in all the specific places and people in the opening verses. Get out a map – or better yet a globe. Locate your congregation on it. Point out the places. They are all right around present day Palestine. Together pronounce the names of the people and insist that these were real people that we read about in history books. Luke’s point and yours to the children is this is a real story about real people in a real place. Children who have trouble sorting out fiction from non-fiction appreciate knowing that. They also enjoy Luke’s point that with the choice of all those important people living in important places, God gave his message to nobody John who lived in an unnamed wilderness.
'' Remember that children will hear the poetry about roads and mountains literally unless you direct them otherwise. In a day when mountain top removal is an environmental issue it is easy for children to jump to wrong conclusions.
'' “Repent!” is John’s favorite word. He used it lots! To help children understand and claim the word, point out the difference in being sorry and repenting. Being sorry is feeling bad that you did something wrong or hurt someone. Repenting is doing something to make sure you never do that again. Repenting is making changes in what we do. It is much easier to feel sorry about something than to repent it. John is not even a little interested in people feeling sorry about bad things they were doing. He wanted them to change. He would want the same for us this Advent.
'' 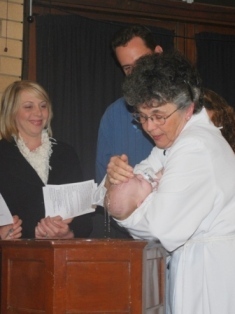 To explore John’s call to repent and be baptized, explore the question “Do you renounce evil and turn toward Jesus Christ?” in many baptism and confirmation rituals. To describe how we actually do this, sort a collection of cards or small posters into “evil” and “turn to Jesus” piles. Write on each card something like Mine!, I want it!, Give me! Me first! You stink! May I help? Can we share this? What would you like? You first! I think you are special! Can we do this together?... Briefly describe what working to say or not say each of these things is a way of keeping a promise to God.